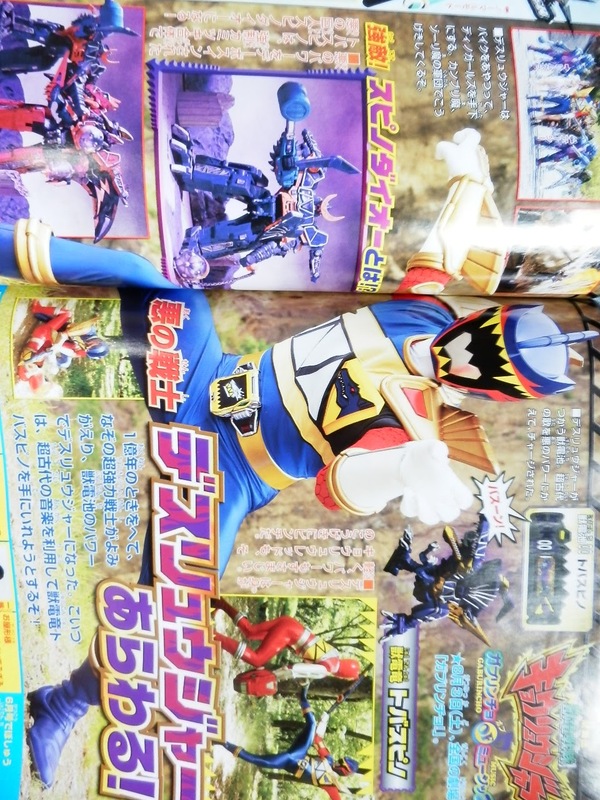 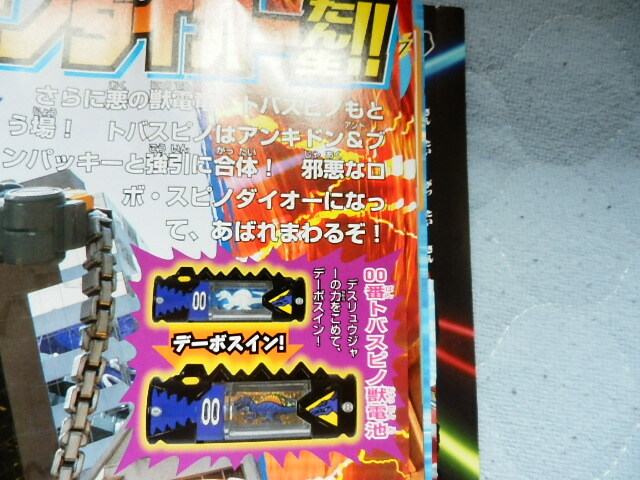 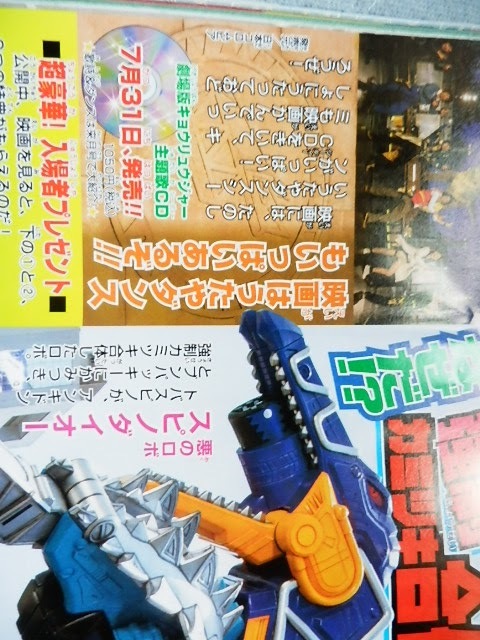 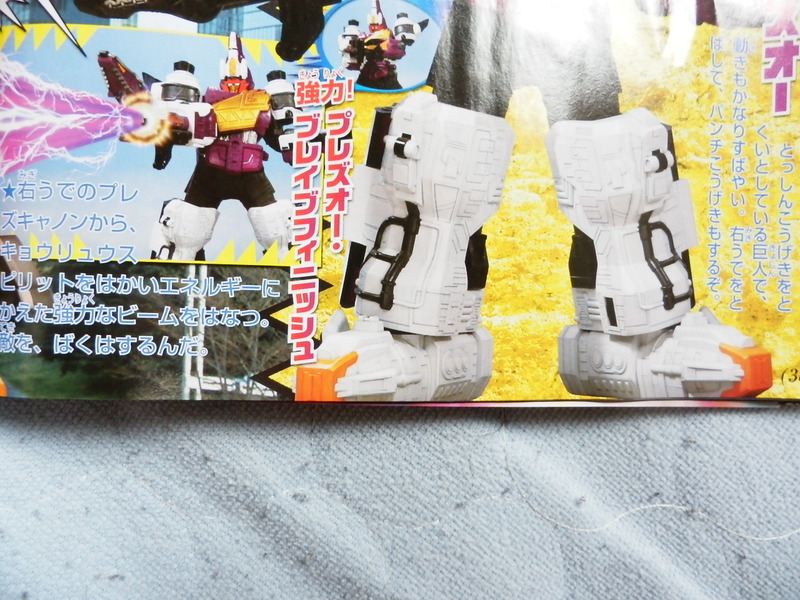 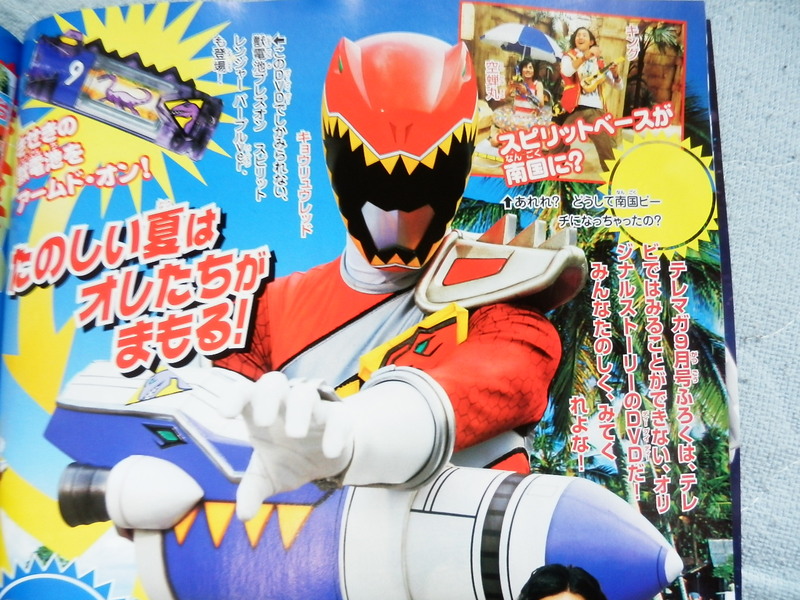 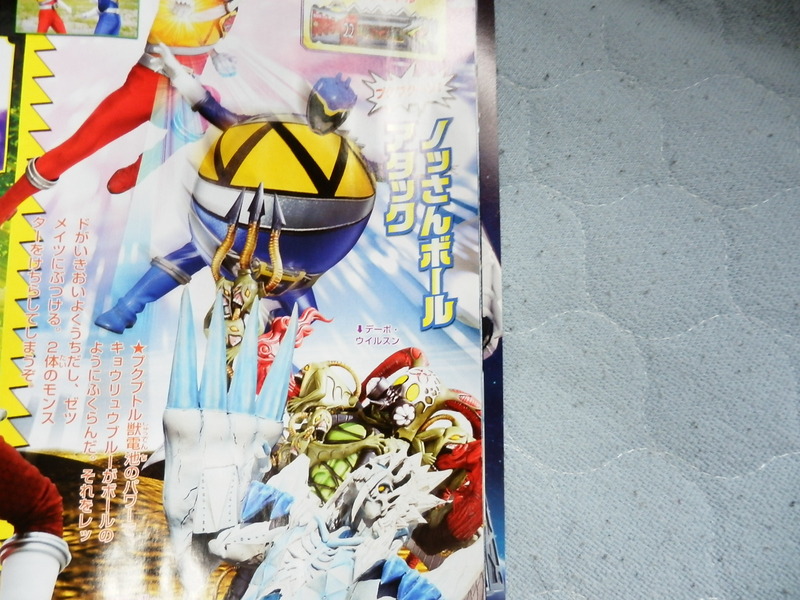 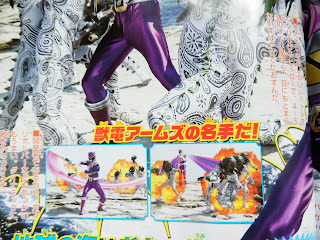 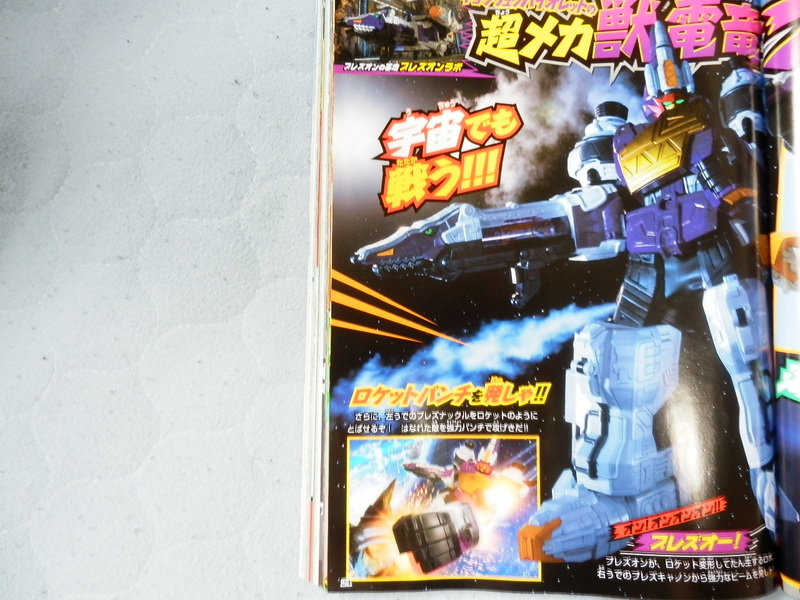 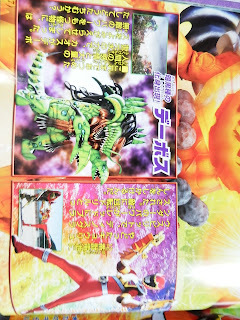 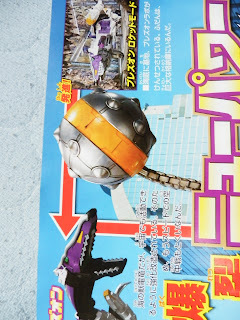 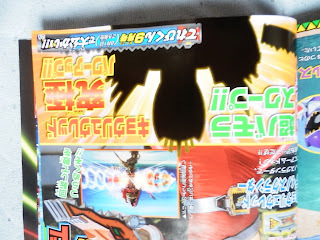 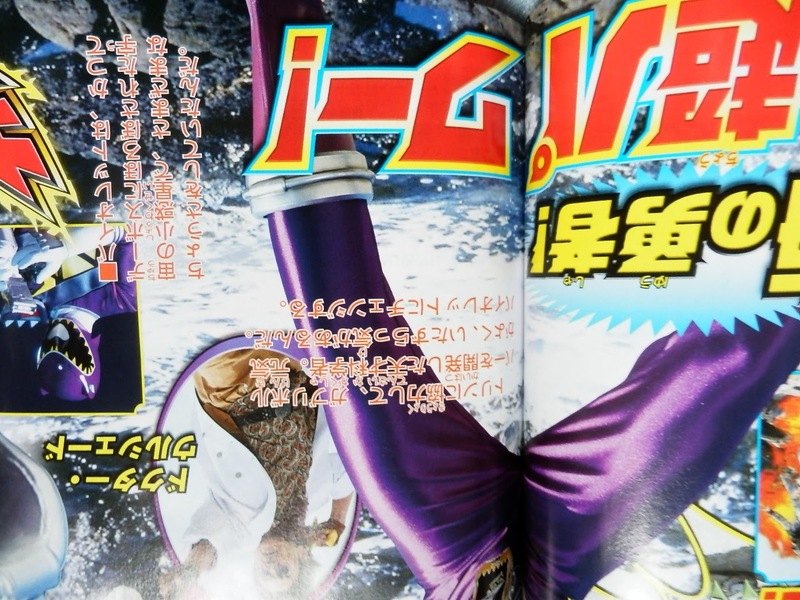 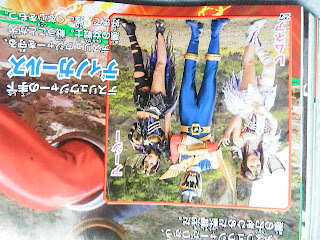 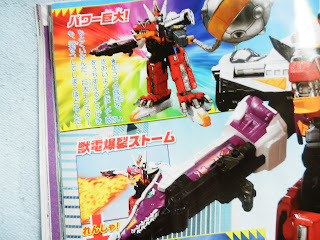 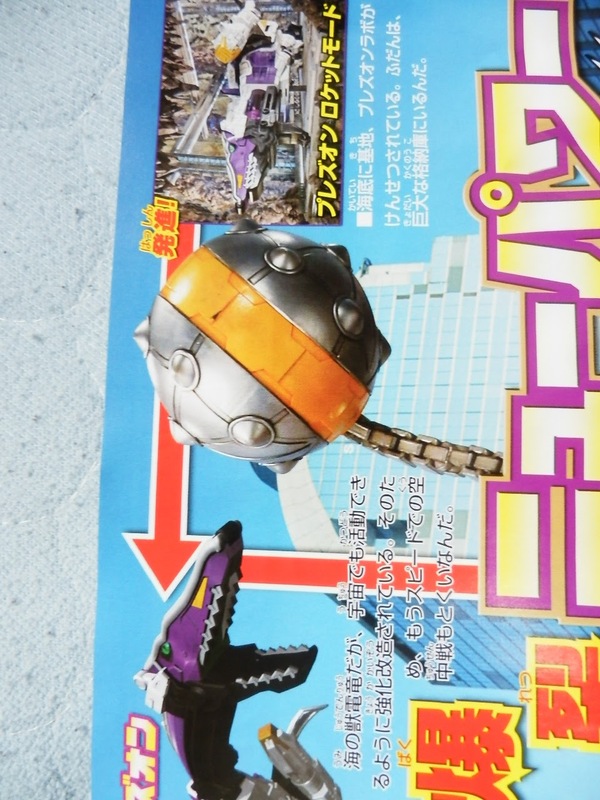 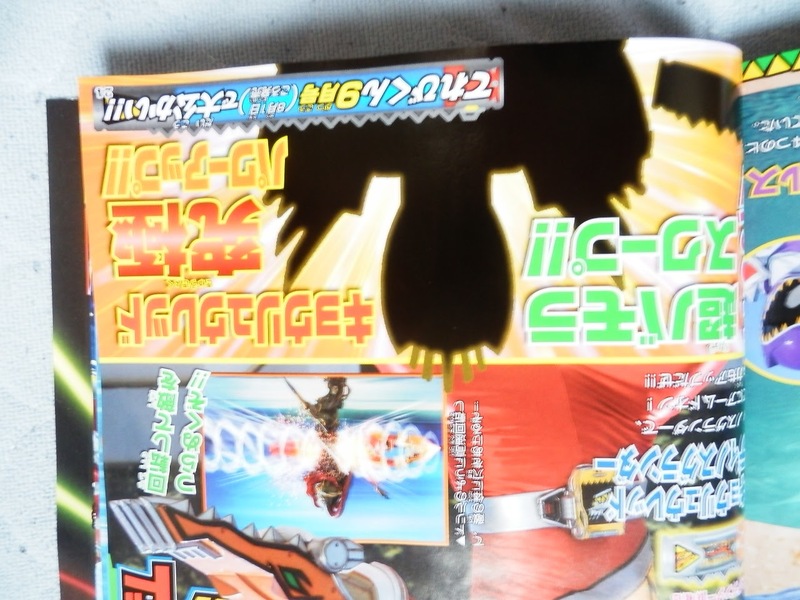 KyoryuViolet, the 9th Kyouryuger to appear, transforming via ZyuDenChi and Gaburevolver. 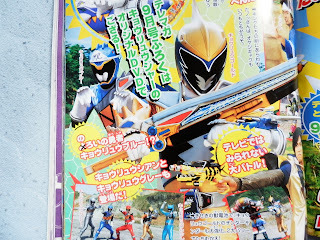 The Spirit Rangers, Cyan and Grey, were searching for him. 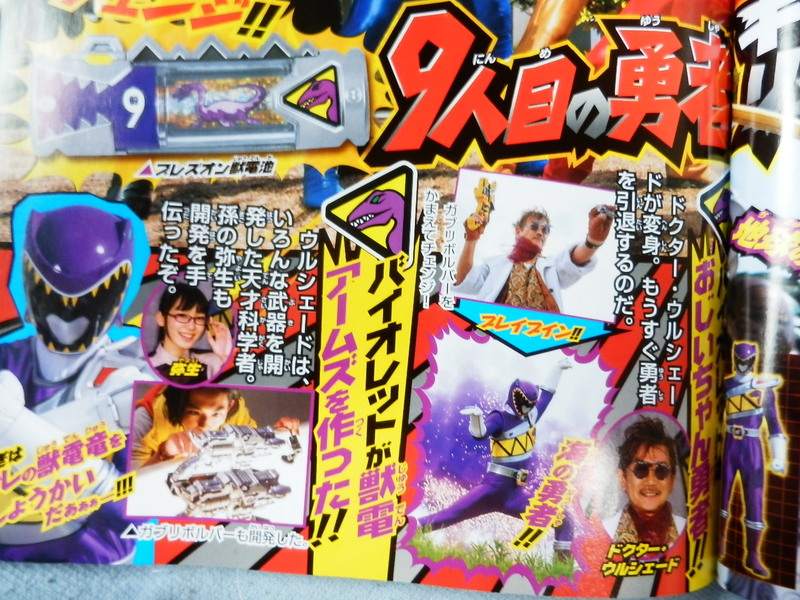 The genius scientist, Dr. Ulshade, transforms into KyoryuViolet! 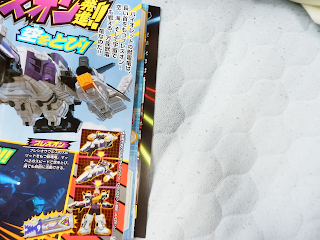 Ulshade has been traveling space, and is ready to retire. 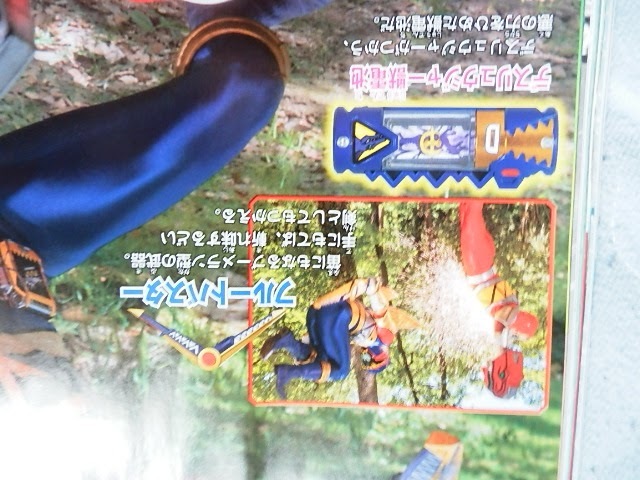 He created the ZyuDenArms, including the GabuRevolver. Played by Shigeru Chiba, the show's narrator and voice of all the tech. 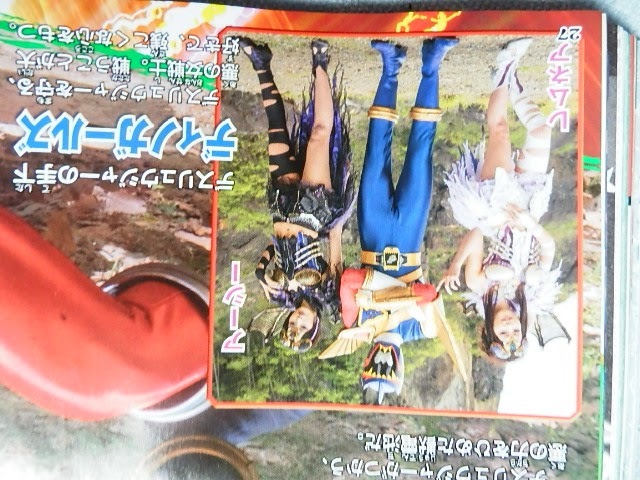 Ulshade is helped by his grandaughter, Yayoi. 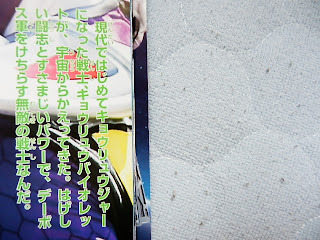 There's a possibility that Yayoi will take over duties as Violet, so her grandfather can retire. 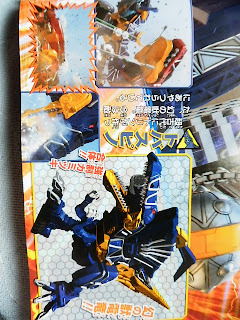 Plezon, the Plesiosaurus ZyuDenRyu, has a 3 step transformation. Rocket Mode, to Dinosaur mode, to human mode, PlezOh! 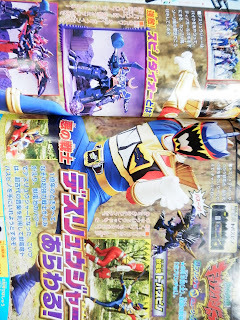 Rocket Henkei PlezOh, the Kyouryuger's 3rd robo, space ready! 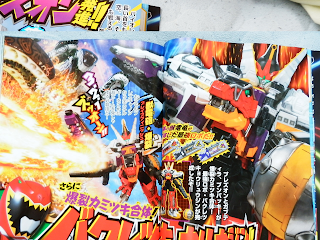 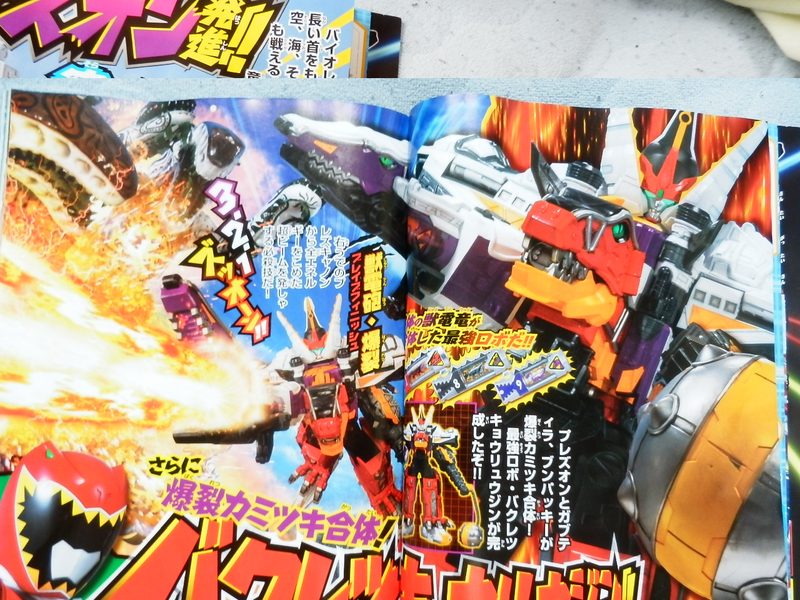 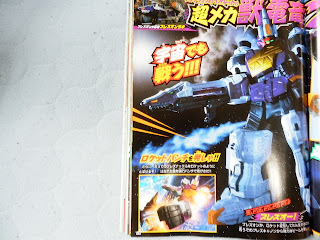 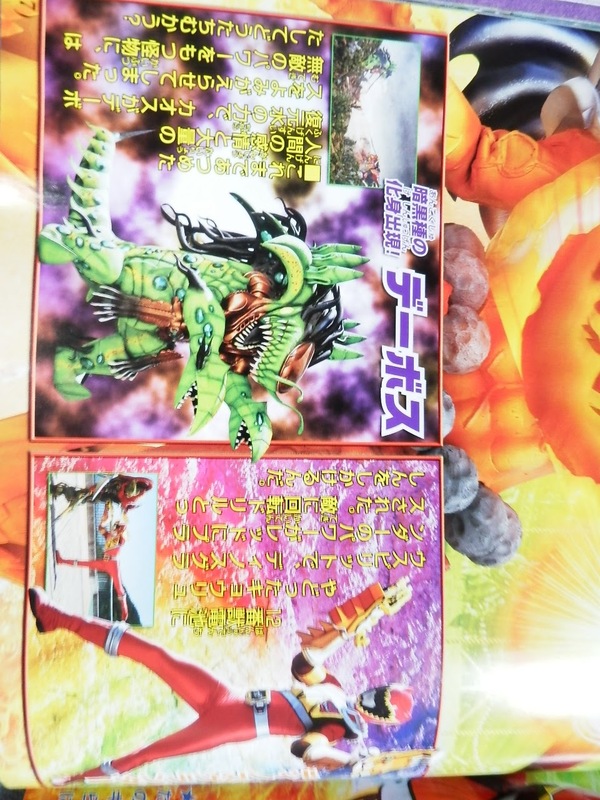 When Gabutyra, Plezon and Bunpachy perform Kamitsuki Gattai, they combine into the powerful BakuretsuKyoryujin. 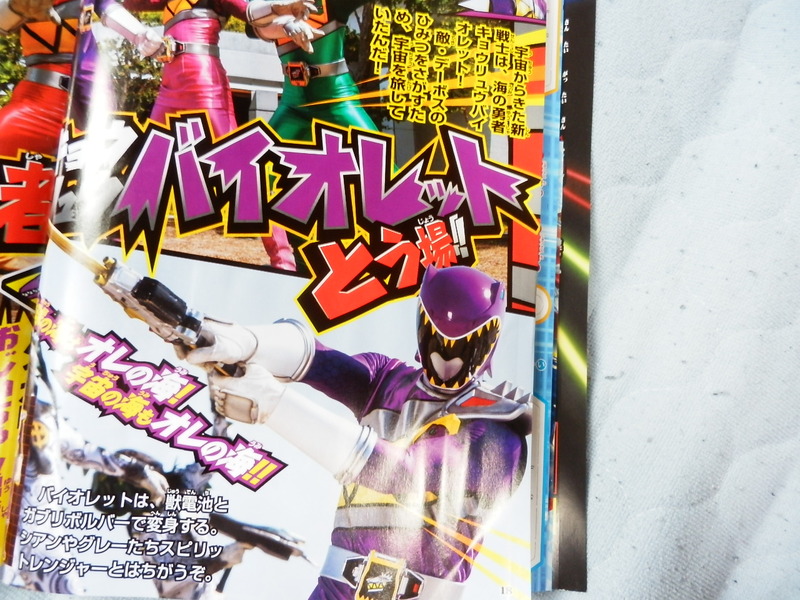 Deathryuger, aka "D". 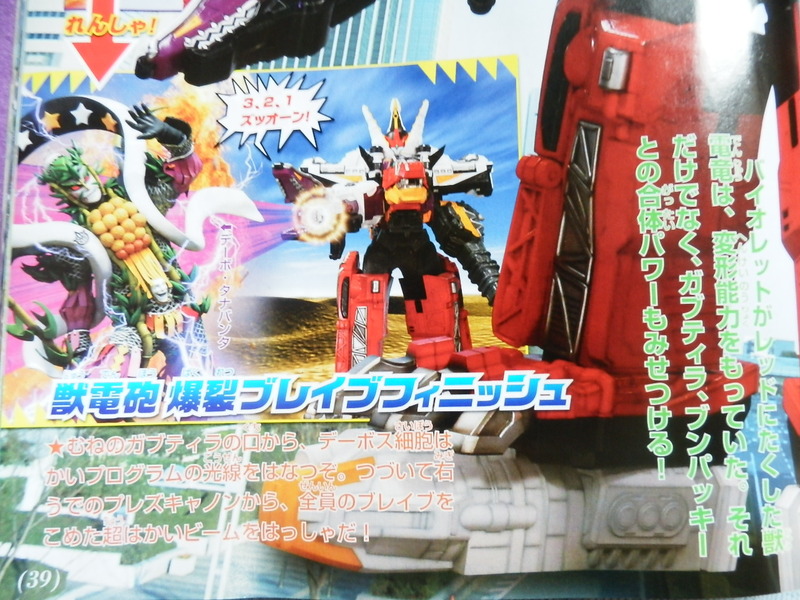 He's an ancient warrior who shows up to destroy the Earth, alongside Devoss. 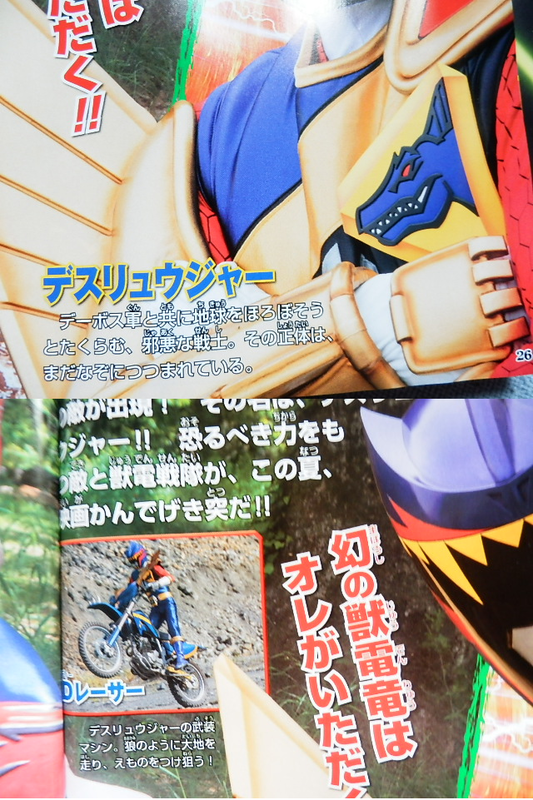 His true identity is unknown.